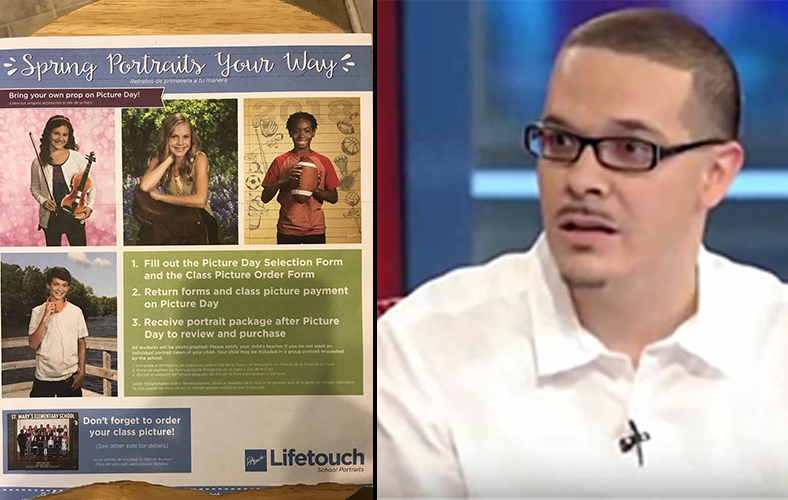 Social justice warrior Shaun King was widely mocked Tuesday on Twitter after he slammed a school photography company for advancing "racial stereotypes" with their portrait order form. "A family just sent me this. They were bothered," King said in a tweet. "Even the school photo order forms feed into racial stereotypes of what kids of certain races should or should not be doing." "@Lifetouch - you can do better," King said, tagging the company so people could complain. The family was bothered. I understand it. Do you have kids? Ohh I see it. The girl holding the violin should be Asian! I think you�re reading way too much into this man. Shaun is right, he should have a Basketball, not a Football. You have to constantly escalate the rhetoric to keep people engaged and sharing. Over time your posts start to become extreme, like in this instance. I think someone should call the cops to report a hate crime.